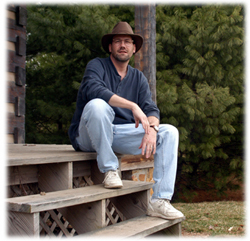 Bill Mckell – Building a Storytelling Festival from the Ground Up. Founding a Festival from Scratch. Creating the Southern Ohio Storytelling Festival in Chillicothe has been an interesting journey. I guess it began when my wife and I started attending the National Storytelling Festival in Jonesborough, TN when our daughters were quite young. When they became old enough to enjoy attending storytelling festivals, we were reluctant to invite them into the “get away” weekend we enjoyed in eastern Tennessee each year. So we searched for an alternate festival to which we could take them. We found the Cave Run Storytelling Festival near Morehead, KY and began taking them there. After attending a couple of years, my wife and I wondered if we could do something similar in our hometown of Chillicothe. The art and tradition of storytelling seemed a natural complement to the historic and charming character of Chillicothe’s downtown and the community’s Appalachian heritage. I posed the idea to one of our leading downtown businesswomen and the idea took off from there. Margaret Daniels, another leading citizen, was intrigued by the idea and volunteered to chair the festival committee. A number of interested people joined the committee and worked to launch the first event. It took us about 18 months from when the committee first formed until we held our first festival. We sent a delegation to Cave Run and spent much time with their director learning how to budget a festival, hire storytellers, promote the event, etc. They were very helpful. We then worked hard to find inexpensive local venues and interested local sponsors to help make the budget work. We used mailing lists of local arts patrons to help us promote the event and we worked with the local paper and radio stations to help us get the word out. Our first event held in 2004 was a success. We were able to invite four “national” storytellers, two “regional” tellers and one “local” teller. We invited older elementary students from around the county to attend performances on Friday. Over 1200 attended. That formula continues to work for us as we are now working on our fourth festival. We continue to hold our event on the first Friday and Saturday after Labor Day. Grants and sponsorships have allowed us to bring in top quality storytellers while keeping the cost of admission quite reasonable. We hold our evening “concerts” in the Majestic Theatre–the oldest continuously operating theater west of the Alleghenies–in downtown Chillicothe. We continue to host hundreds of local students as well as other student groups from all over the state. We have also established an outreach program where the storytellers in our line-up actually go out into the community and tell stories to groups who cannot make it to the festival themselves (domestic violence shelter, homeless shelter, children’s ward at the hospital, etc.). It’s been very well received. We encourage all storytelling enthusiasts in the mid-west to join us for this fun-filled weekend. This entry was posted on Wednesday, June 20th, 2007 and is filed under Episode List, Festival Storytelling, Storytelling in Community. You can follow any responses to this entry through RSS 2.0. You can leave a response, or trackback from your own site.